We have pleasure in welcoming Abigail Hume to the Dovetail Team. Abigail’s recruitment background is within the niche technology sector, where she enjoyed 4 years placing sales, marketing and technical candidates with companies across the UK and EMEA. Abigail has already ‘hit the ground running’ in provding an excellent service to our clients. Dovetail have now joined the world of Facebook! 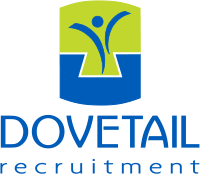 Dovetail Recruitment has been in business for over 4 years now and Managing Director, Liz Davies has been increasingly charged with sourcing ever more senior staff with specific skills and experience for their clients. This is possibly indicative of how businesses in the area have grown and developed and absorbed the pool of local talent.